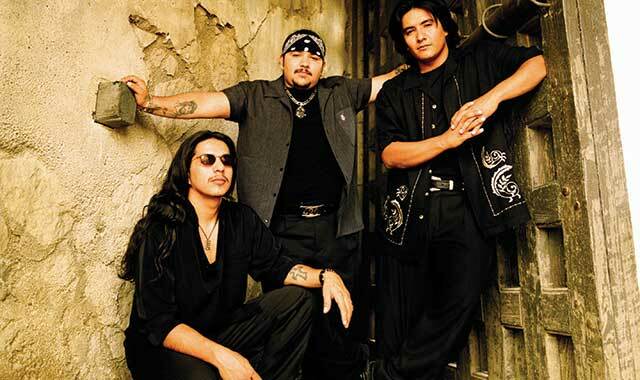 Hear Los Lonely Boys play Nov. 8 at the Arcada Theatre in St. Charles. Oct. 17, 9:30 a.m. & noon. Interactive show with music, comedy and illusion, that teaches kids the first “magicians” were really mathematicians. 9:30 grades K-3; noon grades 4-8. Paramount Theatre, 23 E. Galena Blvd., Aurora (630) 896-6666, paramountarts.com. Oct. 18, 8 p.m. Hear Waukesha boys Sam Llanas and Kurt Neumann’s signature harmonies and ringing guitars, with hits like “Closer To Free” and “Good Things.” Arcada Theatre, 105 E. Main St., St. Charles, (630) 587-8400, oshows.com. Oct. 18, 8 p.m. Caroline Rhea, Carol Liefer and Kym Whitley will have you roaring with laughter and nodding in empathy at stories of family life so funny and familiar that they might be your own. Paramount, Aurora, (630) 896-6666, paramountarts.com. Oct. 18, 7:30 p.m. Matthew Kraemer, conductor. The Elgin Symphony Orchestra with memorable film themes: Indiana Jones, Star Wars, War Horse, more. Fri. Prairie Center for the Arts, 201 Schaumburg Court, Schaumburg. Oct. 19-20, Sat. 7:30 p.m., Sun. 2:30 p.m. Hemmens Cultural Center, 45 Symphony Way, Elgin. Tickets: ESO (847) 888-4000, elginsymphony.org. Oct. 19, 7 p.m. In its 53rd season. Stephen Alltop, conductor; Kate Hatmaker, violin; Jean Hatmaker, cello; Jennifer Cha, violin, Young Artist Winner. Sibelius: Violin Concerto, Movement 3; Brahms: Concerto for violin and cello in A minor, Op. 102; Dvorák: Symphony No. 7 in D minor. Elmhurst Christian Reformed Church, 149 W. Brush Hill Road in Elmhurst, esosubscriptions.org. Oct. 19, 8 p.m. Guitar disciples Eric Clapton, Peter Green and Mick Taylor all look up to this 1960s guru. Prairie Center for the Arts, 201 Schaumburg Court, Schaumburg, (847) 895-3600, ci.schaumburg.il.us. Oct. 19, 8 p.m. British rock legends Paul Raymond, Phil Mogg, Vinnie Moore and Andy Parker play classic hits like “Love to Love,” “Too Hot to Handle,” and new selections. Arcada, St. Charles, oshows.com. Oct. 19, 5 & 9 p.m. Brash, irreverent, and 100 percent blue-collar, this stand-up comedian and radio personality with the trademark catch phrase, “Git Er Done!” Paramount, Aurora, paramountarts.com. Oct. 19-Nov. 3, Sat. 10 a.m. & 1 p.m., Sun. 1 p.m. Steel Beam’s Children’s Theatre. A wild ride through a ghoulish night with Irving’s spooky American classic, for ages 5 and up. Steel Beam Theatre, 111 S. Main St., St. Charles, (630) 587-8521, steelbeamtheatre.com. Oct. 25-27, F-Sat. 7:30 p.m., Sun. 2 p.m. From Children’s Theatre of Elgin. The adventures of a legendary Chinese heroine. A shortened version of the original movie with performers grades 2-9. Hemmens Cultural Center, 45 Symphony Way, Elgin, (847) 931-5900, hemmens.org. Oct. 25, 7:30 p.m. Jimmy, Merrill and Jay have been performing all styles of music with unmatched close harmonies for 50 years. Batavia Fine Arts Centre (Batavia FAC), 1401 W. Wilson St., Batavia, bataviafineartscentre.org. Oct. 25, 8 p.m. This Earth, Wind and Fire tribute band plays all the hits of the Rock-n-Roll Hall of Famers: “September,” “Let’s Groove,” “Shining Star.” Metropolis Performing Arts Center (Metropolis), 111 W. Campbell St., Arlington Heights, (847) 577-2121, metropolisarts.com. Oct. 24, 8 p.m. The first contemporary Christian artist to earn a platinum record, score a No. 1 pop hit and perform at the Grammys. Wentz Concert Hall, North Central College, 171 E. Chicago Ave., Naperville, (630) 637-7469, northcentralcollege.edu. Oct. 25, 8 p.m. An ’80s Halloween party with this tribute band that pays attention to detail to make certain every note is played, and every harmony is sung, just like it was recorded by Journey. Arcada, St. Charles, oshows.com. Oct. 25-Nov. 2, Th-Sat. 8 p.m., Sun. 3 p.m. A mix of intense drama and howlingly funny dark humor, about a murderous barber and his partner in crime, a baker who disposes of the bodies by baking them into her pies. Raue Center For The Arts, 26 N. Williams St., Crystal Lake, (815) 356-9212, rauecenter.org. Walt Willey is WILD BILL! Oct. 25-26, Fri. 2 p.m., Sat. 8 p.m. The “All My Children” star portrays the infamous James Butler “Wild Bill” Hickok. A dramatic, funny and poignant evening. Pheasant Run Resort, 4051 E. Main St., St. Charles, (630) 584-6342, pheasantrun.com. Oct. 26, 5 & 8 p.m. See how the role that television played in this comedian’s childhood has shaped his adult life, with over 200 slide and soundbytes from TV shows and his dead-on impressions of celebrities. Metropolis, Arlington Heights, metropolisarts.com. Oct. 26, 7:30 p.m. Dr. Colin Holman, conductor; Dan Heffner, xylophone. Mao Yuen: Tribal Dance of Yao; Rimsky-Korsakov: Capriccio Espagnol; Mayuzumi: Concertino for Xylophone; Tchaikovsky: Capriccio Italien. Batavia FAC, bataviafineartscentre.org. Oct. 26: Randal Swiggum, conductor. Music to celebrate the season, with costumes, trick-or-treating and children’s activities. Family Concert Series. Blizzard Theatre, Elgin Community College Arts Center, 1700 Spartan Dr., Elgin. Tickets: ESO (847) 888-4000, elginsymphony.org. Oct. 26, 8 p.m. As the daughter of the King of Rock & Roll, Elvis Presley’s daughter is a music phenom in her own right, reaching hundreds of thousands of fans each day. Arcada, St. Charles, oshows.com. Oct. 27, 3 p.m. Bram Stoker’s gothic masterpiece done as an elegantly horrific one-woman show by Megan Wells. Woodstock Opera House, 121 Van Buren St., Woodstock, (815) 338-5300, woodstockoperahouse.com. Oct. 27, 5 p.m. Using his powers, the psychic will reawaken the ghostly presence of Al Capone in the historic Arcada Theatre and cause “sightings” by audience members on the stage. Arcada, St. Charles, oshows.com. Oct. 30, 5:30 & 7:30 p.m. Linc Smelser, conductor. Annual free concert of Halloween-style music for all ages. Trick-or-treating in the building 5-5:30 p.m. Northern Illinois University, Boutell Concert Hall, 300 Lucinda Ave., DeKalb, kishorchestra.org. Oct. 30-Nov. 24, see website for days/times. An American soldier, forced to leave behind his new Vietnamese bride during the fall of Saigon, begins a quest years later to find her and the son he never knew they had. Paramount, Aurora, paramountarts.com. Oct. 31, 7:30 p.m. This up-and-coming country duo of Colt Fold and Tyler Farr perform their hit songs “Cruise” and “Get Your Shine On,” and more. Sears Centre Arena, 5333 Prairie Stone Pkwy., Hoffmann Estates, searscentre.com. Nov. 1, 8 p.m. This Tony nominee and Emmy Award-winning actress is also the singing voice behind some of your favorite Disney characters. Metropolis, Arlington Heights, metropolisarts.com. Nov. 1, 8 p.m. This singer/songwriter, with hits like “Don’t Mean Nothin’” and “Hold On to the Night,” has collected numerous Grammy nominations, released four multi-platinum albums and written 13 No. 1 songs. Wentz Hall, Naperville, northcentralcollege.edu. Nov. 1-16, F-Sat. 8 p.m., Sun. 2 p.m. In Victorian England, when a woman brings her new husband to live in the home where her aunt was murdered 15 years earlier, he tries to drive her to insanity. Made into the film Gaslight. The Albright Theatre Co., 100 N. Island Ave., Batavia, (630) 406-8838, albrighttheatre.com. Nov. 2, 8 p.m. First, Broken Arrow plays Neil Young hits from “Heart of Gold” to “Only Love Can Break Your Heart.” Then, Positively 4th Street will perform Bob Dylan classics, including “Like A Rolling Stone,” “Blowin’ in the Wind.” Metropolis, Arlington Heights, metropolisarts.com. Nov. 2, 8 p.m. The uncanny similarity of this singer’s voice to Neil Diamond’s has made him a popular performer throughout the Midwest. Pheasant Run, St. Charles, (630) 584-6342. Nov. 3, 3 p.m. Fall Concert: “Well Suited.” Dr. Colin Holman, conductor. Free. Norris Cultural Arts Center, Dunham Road, St. Charles, fvcb.org. Nov. 7-9, Th-Sat. 10 a.m.; Th-F 6 p.m. A live stage production of the 1939 Judy Garland film, with Toto, Dorothy, Tin Man and all the beloved characters, and all the classic songs, like “Somewhere Over the Rainbow” and “Follow the Yellow Brick Road.” A Metropolis School of the Performing Arts Production By Kids for Kids. Ages K-3. Metropolis, Arlington Heights, metropolisarts.com. Nov. 7-17, Th-Sat. 7:30 p.m., Sun. 2 p.m. Leapin’ Lizards! The popular comic strip heroine takes center stage in this beloved musical. Stage Coach Players, 126 S. 5th St., DeKalb, (815) 758-1940, stagecoachers.com. Nov. 7-Dec. 29, see website for days/times. Follow two empty-nesters over 30 years as they welcome home their three grown kids for the holidays: a priest, an aspiring actress, and a former star athlete, and watch fashion styles – and characters’ lives – change. Pheasant Run, St. Charles, (630) 584-6342. Nov. 8, 8 p.m. This Tex-Mex group celebrates their roots with the spirit and sound of their infectious Latin rhythms. Arcada, St. Charles, oshows.com. Nov. 8, 8 p.m. New Orleans pianist and singer whose blend of snaky rhythms, Crescent City funk and voodoo flair made him one of the city’s prime musical ambassadors. Raue Center, Crystal Lake, (815) 356-9212. Nov. 9, 8 p.m.; Nov. 10, 5 p.m. This trio of father and two sons plays hits from the ’50s, ’60s and ’70s. Arcada, St. Charles, oshows.com. Nov. 9, 8 p.m. A showcase of the Dance Chicago Festival, with performances by upwards of 15 companies. Fermilab, Ramsey Auditorium, Kirk Road & Pine Street, Batavia, (630) 840-2787, fnal.gov/culture. Info: dancechicago.com. Nov. 9-10, 7:30 p.m. Andrew Grams, conductor; Isabella Lippi, violin. Beethoven: Coriolan Overture; Sibelius: Violin Concerto in D minor; Walton: Symphony No. 1 in B-flat minor. Hemmens, Elgin. Tickets: ESO: (847) 888-4000. Nov. 9-24, F-Sat. 8 p.m.; Sun. 3 p.m. A Vietnam vet gets a surprise visit from a war buddy – a bumbling nerd who saved his life, and who soon overstays his welcome. Woodstock Opera House, (815) 338-5300. Nov. 10, 5 p.m. An autobiographical one-man show, written and performed by Chazz Palminteri, tells the story of a young boy from a working-class family who gets involved in the world of organized crime. Arcada, St. Charles, oshows.com. Nov. 14, 7:30 p.m.; Nov. 15, 8 p.m.; Nov. 16, 7 p.m. Broadway’s longest-running solo play in history humorously reveals the misunderstandings between men and women. Metropolis, Arlington Heights, metropolisarts.com. Nov. 15, 8 p.m. Marking their 40th anniversary, Dewey Bunnell and Gerry Beckley perform original hits like “A Horse With No Name” and “Ventura Highway.” Arcada, St. Charles, oshows.com. Nov. 15, 7:30 p.m. See dress rehearsal, “behind-the-scenes” workings, visit with Director Barbara Schubert and musicians during break. Free; donations accepted. Groups welcome. Please register: (630) 778-1003, dupagesymphony.org. Venue: Wentz Concert Hall, North Central College, 171 E. Chicago Ave., Naperville, dupagesymphony.org. Nov. 16, 8 p.m. Delighting audiences since 1999, these dead-ringers celebrate the music of the disco-era super group. Raue Center, Crystal Lake, (815) 356-9212. Nov. 16, 8 p.m. Barbara Schubert, conductor. An all-orchestral program to celebrate DSO’s distinction of being named Illinois Community Orchestra of the Year, by the ICO. Verdi: Nabucco Overture; Beethoven: Symphony No. 6 in F major, Op. 68, “Pastoral”; Mussorgsky: Pictures at an Exhibition. Wentz Hall, Naperville, dupagesymphony.org. Nov. 16, 8 p.m. One of the most distinctive voices in contemporary music since his debut in 1973, Vanelli plays hits including “I Just Wanna Stop,” Living Inside Myself,” “People Gotta Move,” “The Wheels Of Life,” Arcada, St. Charles, oshows.com. Nov. 17, 3 p.m. Stephen Alltop, conductor; Spirito Women’s Chorus; The Agape Ringers. Strauss: “Solemn Entry” with organ and brass; Purcell: Sound the Trumpet; Handel: O lovely peace; Phillips: Toccata for Organ, Brass and Percussion; Gabrieli: Triple Canzon with Brass and Strings; Diamond: Rounds for String Orchestra. Elmhurst Christian Reformed Church, Elmhurst, esosubscriptions.org. Nov. 17, 7 p.m. A blues master whose song writing, guitar playing and vocals have netted him five Grammies out of 16 nominations. Arcada, St. Charles, oshows.com. Nov. 19, 8 p.m. The charming, witty and always-entertaining writer and humorist is best-known for his widely popular radio show, “A Prairie Home Companion.” Paramount, Aurora, paramountarts.com. Nov. 22, 8 p.m. This spot-on tribute band plays music from Tommy and other Who classics. Arcada, St. Charles, oshows.com. Nov. 22, 8 p.m. This tribute band plays all the hits: “Dreamboat Annie,” “These Dreams,” “What About Love,” “Barracuda.” Metropolis, Arlington Heights, metropolisarts.com. Nov. 23, 7 p.m. Special performers include Brandon Heath, Mandisa, Jamie Grace, Colton Dixon, Chris August and introducing Capital Kings. Sears Centre, Hoffmann Estates, (888) 732-7784. Nov. 23, 8 p.m. This Grammy-winning singer-songwriter, with hits like “Lullaby” and “Light You Up,” tells of being on the road and what inspires him, in between songs. Metropolis, Arlington Heights, metropolisarts.com. Nov. 23, 8 p.m. Tribute to Frankie Valli & The Four Seasons: a musical production celebrating music of the 1960s, with former Four Seasons member Val Martinez. Arcada, St. Charles, oshows.com. Nov. 23-Dec. 22, F-Sat. 8 p.m., Sun. 3 p.m. At the annual Mount Saint Helen’s Christmas program, a nun must dance the part of the Sugar Plum Fairy, and Father Virgil replaces Sister Julia Child of God in the cooking demonstration. What else can go wrong? Steel Beam Theatre, 111 S. Main St., St. Charles, (630) 587-8521, steelbeamtheatre.com. Nov. 24, 8 p.m. Dean Colley will recreate the legendary concerts performed by Neil Diamond at the Greek Theater in August 1972, the recording of which, Hot August Night, became Diamond’s signature. Arcada, St. Charles, oshows.com. Nov. 29-Dec. 8, Fri-Sun, see website for days/times. From Woodstock Musical Theatre Co.: A musical version of Dickens’ classic holiday tale of miserly Scrooge’s redemption. Woodstock Opera House, (815) 338-5300. Nov. 29-Dec. 9, Fri-Sun, 3 & 8 p.m. Inspired by Frank Capra’s beloved American holiday classic, you’ll become a part of a 1940s live radio show of George Bailey’s life, with classic holiday songs, manmade sound effects and live commercials. Williams Street Repertory. Raue Center, Crystal Lake, (815) 356-9212. Nov. 29-Dec. 24, see website for days/times. Dickens’ classic holiday tale of miserly Scrooge’s redemption. Metropolis, Arlington Heights, metropolisarts.com. Dec. 1, 7 p.m. Grammy-winning singer Michael Bolton has been an adult contemporary mainstay for decades with hits like “When a Man Loves a Woman,” “How Can We Be Lovers?” “To Love Somebody,” Arcada, St. Charles, oshows.com. Dec. 1-22, Sat. 10:30 a.m. & 1 p.m., Sun. 1 p.m. From Steel Beam Children’s Theatre. Steel Beam Theatre, St. Charles, (630) 587-8521. Dec. 4, 9:30 a.m. & noon. Watch as Henry discovers the important responsibilities of taking care of his dog Mudge and meet the friends he makes along the way. PreK-3. Paramount, Aurora, paramountarts.com. Dec. 5-31, see website for days/times. Hilarious send-up of all the holiday activities we actually love, and the ones we love to hate featuring. Second City’s trademark comedy improv. Metropolis, Arlington Heights, metropolisarts.com. Dec. 6, 8 p.m. Two legendary singer/songwriters come together to showcase their insightful and down-to-earth styles with songs like “American Pie” and “Both Sides Now.” Arcada, St. Charles, oshows.com. Dec. 6, 8 p.m. Amazing choreography, superb showmanship and authentic wardrobes, made in Mexico, mark the performances by this nationally recognized Aurora dance troupe. Paramount, Aurora, paramountarts.com. Dec. 6, 8 p.m. Consisting of 15 of the best soloists, ensemble players and arrangers, this band celebrates jazz’s large-ensemble tradition by performing original works, arrangements and a vast repertoire of masterpieces by legends of the genre. Wentz Hall, Naperville, northcentralcollege.edu. Dec. 6-15, F-Sat. 8 p.m., Sun 2:30 p.m. Christmas is coming, but Santa Claus is missing! The vibrant citizens of the North Pole soon start losing their color and holiday spirit. It’s up to Detective Red Mistletoe to get some answers, rescue Santa and save Christmas. Albright Theatre Co., Batavia, albrighttheatre.com. Dec. 6-22, Th. 7:30 p.m., F-Sat. 8 p.m., Sun. 3 p.m. With their usual brand of irreverent humor – and a different sort of holiday cheer – this troupe keeps audiences laughing with improvisation, offbeat songs and parodies. Copley Theatre, 8 E. Galena Blvd., Aurora, (630) 896-6666, paramountarts.com. Dec. 7, 8 p.m. Holiday show, with original and classic seasonal music, plus some of the group’s hits, like “Vehicle.” Arcada, St. Charles, oshows.com. Dec. 7-9, see website for days/times. A delightful and surprising new production, featuring lively music, gorgeous dance, breathtaking costumes and magical design that evokes the wonder and spirit of Christmas. Paramount, Aurora, paramountarts.com. Dec. 7-21, Sat. 10:30 a.m., Sun. 7 p.m. The Disney film onstage with hit songs “Part of Your World,” “She’s in Love,” Oscar-winning “Under the Sea!” Pheasant Run, St. Charles, (630) 584-6342. This entry was posted on Monday, October 21st, 2013 at 11:59 am	and is filed under Arts & Entertainment. You can follow any responses to this entry through the RSS 2.0 feed. Both comments and pings are currently closed.